So begins the story of Zack’s freefall into psychosis and his desperate, poignant, often hilarious struggle to claw his way back to sanity. 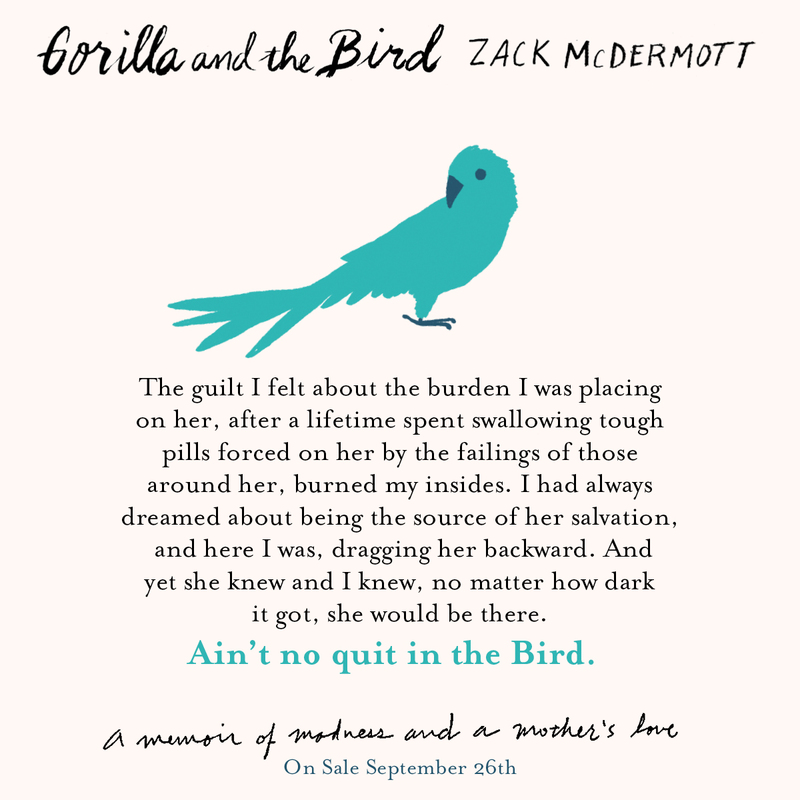 It’s a journey that will take him from New York City back to his Kansas roots and to the one person who might be able to save him, his tough, big-hearted Midwestern mother, nicknamed the Bird, whose fierce and steadfast love is the light in Zack’s dark world. 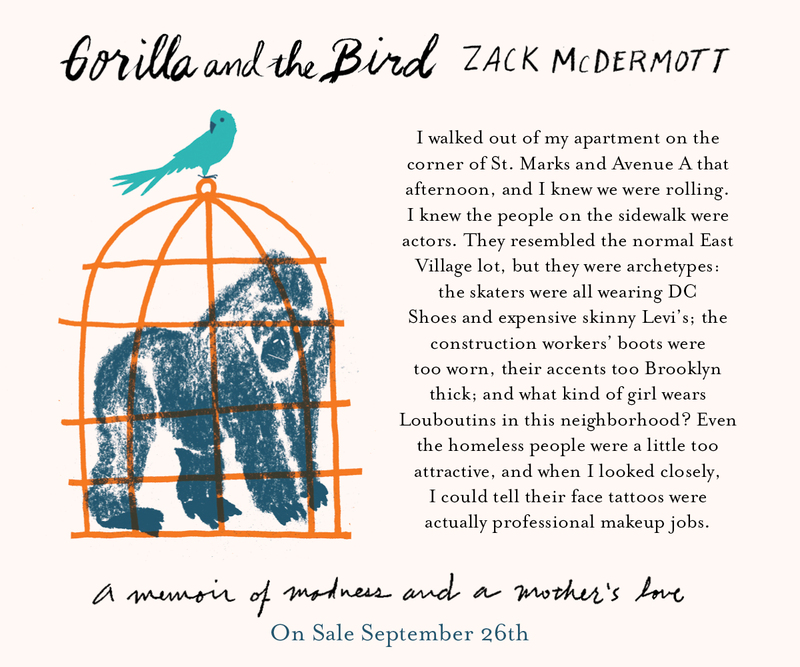 Before his odyssey is over, Zack will be tackled by guards in mental wards, run naked through cornfields, receive secret messages from the TV, befriend a former Navy Seal and his talking stuffed monkey, and see the Virgin Mary in the whorls of his own back hair. 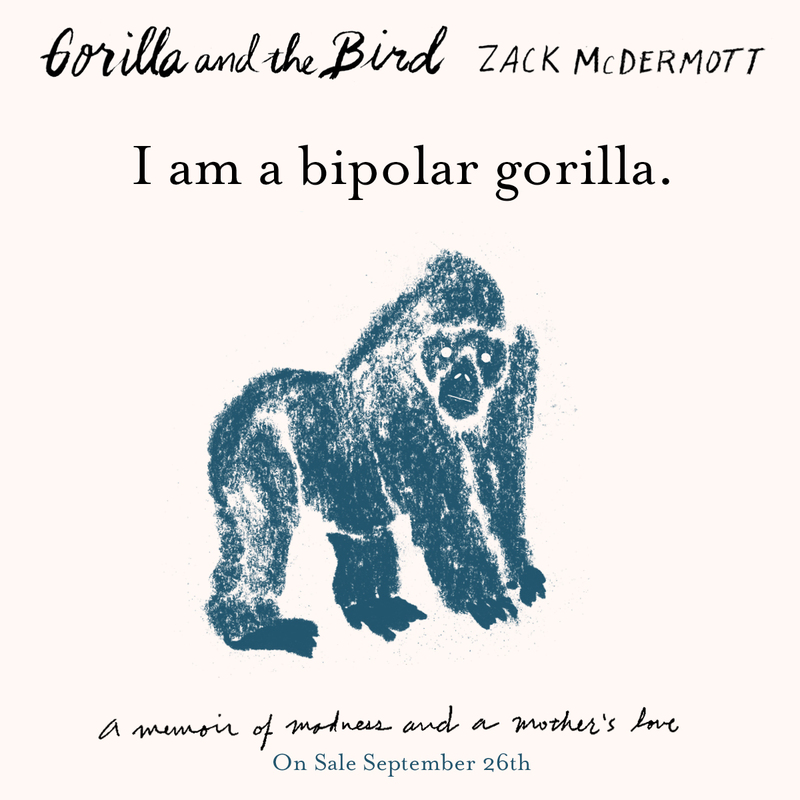 But with the Bird’s help, he just might have a shot at pulling through, starting over, and maybe even meeting a partner who can love him back, bipolar and all. 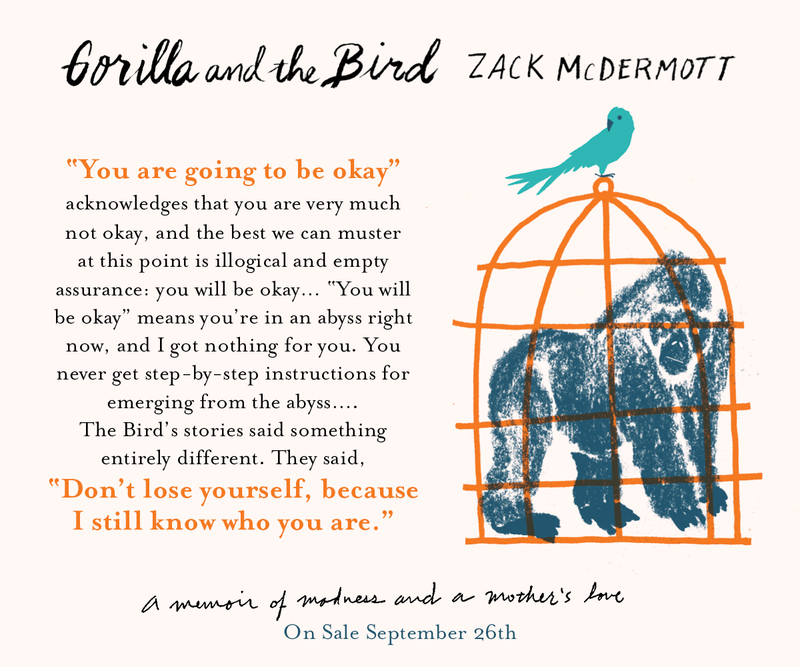 Introducing an electrifying new voice, GORILLA AND THE BIRD is a raw and unforgettable account of a young man’s unraveling and the relationship that saves him. the Bird is as piss-cuttin' a pieta as anyone has any right to hope for. "Glorious...one of the best memoirs I've read in years.